When Tom visits his Aunt he meets her pug Ellie. Ellie is no ordinary pug. Wherever Tom and his aunt go, Ellie must go too. His aunt dresses Ellie up for their outings. Tom finds Ellie strange but she makes friends everywhere she goes. Tom makes no friends. He realises something has to change. 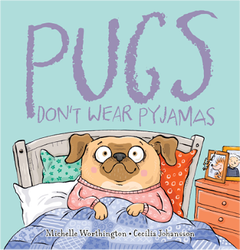 On the 17th of March at 10am, Michelle Worthington will be launching her new book Pug’s Don’t Wear Pyjamas, illustrated by Cecilia Johansson at The Little Gnome Bookstore in Queensland. 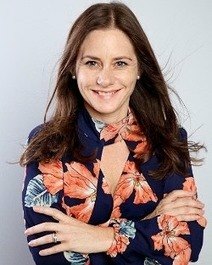 Join Michelle for a great morning filled with storytelling and snacks. Dogs are definitely invited and you can even go dressed in your favourite pyjamas. With themes of pet care, friendship and adventure this book explores family life, outdoor play and a great love of dogs!